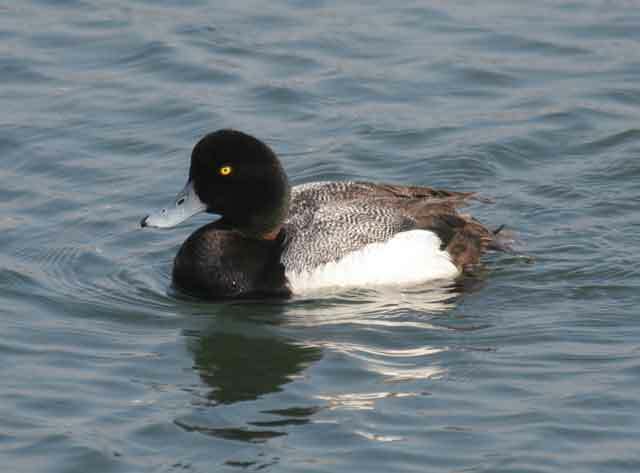 Greater Scaup (Aythya marila). Lakes and ponds on breeding grounds, coastal waters in winter. Migrant and winter visitor. In steep decline.